Restoring Essence, LL, 9780692866009, 266pp. 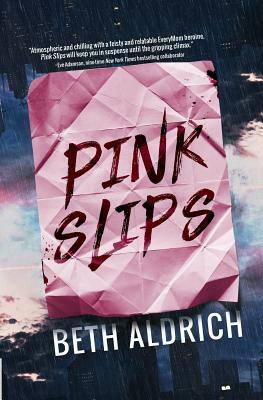 This gripping and emotional debut suspense thriller, Pink Slips, tells a spine-tingling and harrowing story of survival, friendship, doggedness, and love. The inimitable power of the relationship between Betsy Ryan and her beloved dog, Barney, gives this suspense thriller soft spots to counter the uncertainty and intense action. It's filled with unexpected twists that will keep you page-turning and rooting for Betsy until the early hours. Perfect for fans of The Night Stalker and Gone Girl. In order to uncover the mystery behind the threats, she enlists the help of an unlikely, but oddly reliable source, her dog Barney. As the menacing notes continue to arrive, her husband is called out of town for work, and she struggles to keep her composure while shielding her two young sons from danger. She trusts no one except her parents, best friend Misty, and her extraordinary dog--who has proven to literally understand everything she says. Is this person out to harm her? And how do they have so much personal information about Betsy? She can't help but think it's the same person who attacked her at the train station almost a decade ago, and changed the course of her life forever. To save herself and her unborn child--Betsy must face her fears and find her strength, to reveal who is after her and most importantly...why. Beth Aldrich’s non-fiction book, Real Moms Love to Eat (Penguin/NAL, 2012), won a Nautilus Book Award, and four Beverly Hills Book Awards. She published For Her Information, a Chicago magazine for women, and produced/hosted the PBS-TV series, For Her Information, in sixty markets across the United States, in addition to distribution in Israel and Turkey. She’s a proud member of Women’s Fiction Writers Association, Chicago Writer’s Association, and Chicago Off Campus Writer’s Workshop. Like her debut fiction protagonist, she studied culinary arts at Le Cordon Bleu in Chicago and her dogs are always at her side.